Not every vampire or werewolf you meet will set your heart aflutter. K. A. Meng knows this. In the fantastic world she helms, they can be mendacious and menacing. Or are they misunderstood? FINDING KAREN, the second installment in her Superior Species series sheds some light. Welcome K. A. Your fascination with paranormal mystery took off when you saw your first ghost. Can you tell the readers a bit about that experience? My dad was a huge influence on anything strange for me. He enjoyed watching sci fi or paranormal shows. I liked to hangout with him and I started to enjoy them too. What really made me dive into paranormal was seeing a ghost. My sister and I were troublemakers growing up. We are fourteen months apart so our parents got the whole twin terror without having twins. We were messing around in our bedroom, jumping on the top bed of the bunk with our friends. One of them sat down on the edge and I was tried too so I sat down next to her to rest for a moment. We glanced to the side of us and saw an older man standing there. He gave us a stern look, the one adults know how to give when a child is doing something wrong. The man was a ghost. He wasn’t there the next second. We looked at each other to confirm what we say was real. When I saw it on her face, I ran screaming out of the room. She followed behind me, doing the same thing. All but one of our friends followed us to see what freaked us out. The one who stayed behind ended up bouncing off the bed and cracking her head open on radiator. Are you a medium? Have you ever been to one? I am not a medium. I have been to see Theresa Chaputo and I would go again. It was a great experience. Let’s talk about supernatural creatures. I agree that vampires and werewolves aren’t ideal dates, yet your characters come into contact with them. What is the nature of those relationships? My main character in Superior Species is Ivory Ames. She doesn’t want to have anything to do with the supernatural creatures once she finds out they exist. They scare her, even though she is attracted to them. The problem for this is that they want her and no one knows why. She does tolerate the gargoyle though. He isn’t as bad as the other guys in her life. Your murder mystery A TOWN OF MURDERERS takes a different direction—the monsters are all human. Are human villains more vile than their fantastical paranormal counterparts? I think that human are worse monsters than their paranormal counterparts. Humans have the capacity to hurt others. We also have the capacity to do the right thing. I hope most people will do a lot more of the second then the first.I can’t read or see the images of acts of cruelty. In A Town of Murderers, I want the readers to think who are the real monsters. Sometimes the villain isn’t who you think. You’ve worked on a few anthologies as well. Tell us what they’re about and how does a collaborative effort compare to a solitary project? I’ve done several anthologies with my publisher, Solstice Publishing. I want to do a lot more. The first one is a mystery called, Plots & Schemes Vol 1, published on May 3, 2017. You can find the paperback here: getBook.at/PS1. This features 8 short stories. Mine is The First Scheme, the first book in A Town of Murderers series. This is where I first dreamed up my little town and loved it so much I decided to make it into a series. The third one I was lucky to be a part of is a fantasy, Realms of Fantastic Stories Vol 2, published on August 16, 2017. You can find it here: getBook.at/RFS2. This features 7 short stories. Mine is Destination Bermuda. I hope this will be another short story series that follows Alexandra Porter and her adventures into the paranormal. Project 9 Vol 3 was just released on September 15, 2017. You can find it here: getBook.at/P93. This features 6 sci fi short stories. Mine is Life Subscription, my first stand alone where everyone has to pay monthly to live or they die. The big difference between doing a solitary project and a collaborative effort is with more people, you have help promoting. I do get a lot of help from my publisher. When you are one you own, its just you and your publisher. They have a lot of other authors to help out too. 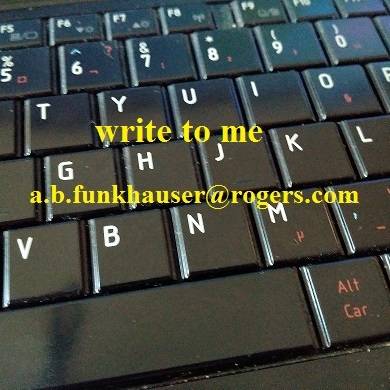 I promote daily and hoping in a few years to establish myself in the writing world. This month is the anniversary of the first book that was published. I am working on A Town of Murderers 2 The Second Plan. I am so happy to share it with you. It should be in the editing process soon. I can’t give you a release date yet. Thanks, K. A. Today, you’re promoting the follow up to SUPERIOR SPECIES. Can you introduce it for us? After I wrote the first book in the series Superior Species I had to write the second Superior Species Book 2 Finding Karen. This one focused on what Ivory Ames learned about her new town of Los Roshano. I finally got to share my thought that created this series. A lot of “romance fueled” stories have the main character dating the vampire, zombie, or werewolf as their thing and I do like those stories, but I wouldn’t date either of them no matter how good-looking they are. They can kill you. I was ready to begin my second book with this thought. Of course, Los Roshano always throws in a curve ball and it did just that from the first sentence. Poor Ivory. Ivory Ames has learned the truth about Los Roshano, New Mexico and the university she attends there, but it isn’t what she expected. Monsters exist. They’ve been running the town in secret to fill their ranks. She vows to keep her friends and herself safe from their evil clutches. As soon as Ivory makes her pledge, her best friend is missing. The race to find Karen Bakke is on before she is killed or worse. I turned on the lights to my dorm room. My whole world shattered. Karen Bakke’s bed was stripped clean. I threw open her closet doors and checked her dresser, but everything she owned was gone. “Damnit,” I cursed. Tears filled my eyes. I swayed, unable to stand anymore and sank to the thin purple carpet, resting my back against a white wall on her side. I had survived the horror from this morning to find my best friend missing; no, I bet she was taken. The Models, her kidnappers, were monsters−real ones. They ate the things which went bump in the night. They ran the town of Los Roshano in secret where I attended the university. Anger surged through me and my body overheated. Gripping my hands at my side, I wanted to strangle any Model with the little energy I had left. Karen would be either turned or mated. I didn’t know which one was worse. My roommate wasn’t an orphan. The Models wouldn’t take her because their own rules were against it, one of them had informed me. I wasn’t sure if I should believe her words. Taking someone who didn’t have family made sense, though. If no one was searching for them, they were easier to steal, but Karen had a mother. The realization led me to a new question. Since she wasn’t here, where was she? Today, she spends her time writing paranormal romance, fantasy, sci fi, horror and everything in between. When life drags her away from it, she hangs out with her son and friends, goes to movies, watches TV, plays board games, walks her dogs, and reads books. She is actively involved in a writing group and wishes to some day visit Disney World. Fun in the sun turns into a nightmare after a murder. On her first vacation ever, Ivory Ames awakens in the middle of the night to find her best friend missing. She searches the campground and finds Maria lying dead on the beach. With more questions than answers and the police being uncooperative, Ivory decides to find the truth herself. She enlists the help of Maria’s other best friend, Harmony Lundy. As Harmony and Ivory search for clues, they learn that someone or something is stalking the campers. The sound of a gunshot pulls Joann Fields from a peaceful sleep into a living nightmare. Her husband David is bleeding from a bullet lodged in his chest. She tries to save him, but she passes out instead. Joann barely regains consciousness before two detectives arrest her for the murder. She turns to the only man who can help her, reporter Mike Carroll. With the evidence piling-up against her, can Mike save her from prison or is she part of some elaborate conspiracy? Thriller writer Karen Millie-James is back with her latest Cydney Granger release. WHERE IN THE DARK is the second in the series. This time, protagonist Cydney goes after Nazi plunder and the shadowy figures that conspire to conceal and profit from it. Congratulations on your latest release WHERE IN THE DARK. Can you tease us with an elevator pitch? The book starts with two holocaust survivors each receiving in the post a bearer bond for $1m each, completely out of the blue. They have no idea why or from where but it strikes fear in their hearts because they have been keeping a secret since 1945. On the other side of the Atlantic, in West Virginia, an escaped Nazi officer called Albert Whiteman, formerly Adolf Weissmuller, heads the family bank into which he married. His son is Governor and about to run in the primaries for president. However, the bank is founded on gold looted by Weissmuller from the Jewish people of Europe. Now he starts to feel remorse, or is he just afraid of dying and what awaits him? Cydney Granger is called upon to investigate and what she discovers is a web of deceit and lies which could ultimately bring down the entire banking system. Nazi loot features prominently in the news—a buried train, heated litigation—and more contentiously, the moral tension between treasure hunters versus familial claimants seeking social justice. What personally drew you to this issue and what side do your characters favor? My father came out of Germany with the kindertransport in 1939. From the end of the war until 1962 he spent his time seeking recompense for what his family had lost and finally he received the paltry sum of £1300 approximately. For the last twenty years my family and I have been engaged with the courts of Frankfurt and Munich to discover what happened to all my grandparents’ assets and again, seek suitable recompense. This has also involved the courts in New York and it will probably never happen because the courts have done everything in their power to delay matters and not make a judgment. My two holocaust survivors seek no recompense for what they lost. They have no interest because they came to England to make a new life and want no involvement with Germany, nor do they wish to talk about what went on; it is enough that they went through the trauma and survived. However, they are forced to face their demons, and specifically Weissmuller. Yes, the question of discovering Nazi loot is in the news but these treasure hunters have no desire to recompense the people who lost everything, nor do they desire to repatriate the art, gold, diamonds and other treasures. Their goal is to find the monies and become rich. Again, the same desires as the Nazis which was to take what they believed was rightfully theirs from the Jewish people who were amongst the richest in the country and held the highest positions – doctors, bankers, lawyers, professors, musicians. If they were doing this for altruistic reasons, I would applaud them, but this is blood money and should be left alone. DARK’s protagonist Cydney Granger is a corporate forensic investigator. Does her expertise in any way herald from your work background, or was she born from tough, dedicated research? I have an international corporate consultancy which specialises in advising companies and individuals around the world how to run their businesses, and I sit on the boards of many companies in an advisory capacity. Cydney is a fictitious character but some of the aspects of her work and mine run parallel, which is why I find her and the work she does easy to write about. The research aspect did not encompass her, but purely the world around her and specifically, in Where In The Dark, focused around the banking world and how the gold moved from Germany and other occupied countries via Switzerland and possibly to many countries’ federal reserves. Cydney’s investigation is furthered with help from “beyond the grave.” Is there a paranormal element to DARK, or is Cydney’s ‘help’ the result of hard-nosed evidence gathering? There is a paranormal aspect to Cydney’s investigations because she has a special gift; she can talk to people who have passed into the spirit world. This assists her in her investigations and how amazing would that be to understand and know what the person sitting opposite you in a meeting is thinking, even to the point of wanting to commit murder. This gift has helped her specifically in her quest for the truth in relation to the two survivors because she is drawn back into their time as children, going in the trains to Lodz Ghetto, then in the concentration camps and finally to their journey to England. This makes her life much easier. However, she is forced to relive what they went through and this is one of the hardest things she has ever had to face. Obviously, some of her research is purely down to fact-finding and looking through records also, something we all have to do. The impacts of Nazi Germany continue to be felt. How does DARK deal with history’s long shadow, and what can readers take away with them after the book is closed? I think ultimately Where In The Dark is a positive story of survival against the toughest odds and bears truth to the adage that it is amazing what a human-being can suffer at the hands of another and still come out the other side with strength. I wanted to ensure that this was the message and I did that by using Adolf Weissmuller, exploring his clearly psychopathic mind and wanting him to feel remorse for his crimes against humanity. In some ways I gave him a voice, but this was purely to demonstrate his evil and lack of empathy against the people he had murdered. My conclusions were that he was never going to feel sorry, but ultimately he was scared of dying and the fate that awaited him. Whilst there are survivors of the atrocities of the Holocaust still alive, the entire impact of what happened in Germany during the war, will continue to be kept alive, as it should be, to ensure that such things never happen again. Unfortunately, countries do not learn from their mistakes and atrocities are happening all over the world against innocent people. Two envelopes. Two holocaust survivors. Two anonymous bearer bonds each worth one million pounds. Corporate forensic investigator, Cydney Granger, with help from beyond the grave, enters a world previously unknown to her to unravel the truth behind a web of secrets, lies, corruption, blackmail and hidden Nazi loot as new horrors of the Third Reich come to light. humanity, or are some actions beyond forgiveness …? The dramatic follow-up to The Shadows Behind Her Smile, a compelling debut which takes the reader from the heart of Cydney’s corporate world to the ruins of war-torn Damascus and where men will stop at nothing to achieve their goals. It was the shock. As he fell, the pain ripped across his heart and he felt the familiar vice-like tightening of his chest as the muscles attempted to respond to the restricted blood flow, his arteries already hardened and narrowed. An overwhelming sense of anxiety enveloped him. Harold reached into his inside jacket pocket and grabbed the pump spray he kept with him at all times containing the medicine he now urgently needed to relieve his symptoms. He opened his mouth and pressed the bottom of the pump firmly and placed a couple of squirts under his tongue; he had always hated the taste. The relief was immediate and as the pain eased he felt the onset of the pounding headache the spray always gave him. Slowly, he managed to pull himself up into a sitting position so he could examine the cause of his attack. The knowledge that in his hands he held a bearer bond certificate for one million dollars made Harold’s hand tremble to such an extent that he dropped the bond and the envelope in which it had arrived and saw it flutter and disappear under one of the Queen Anne chairs in his living room. It was with some considerable effort that he stretched out his arm and rescued the document with the tip of his middle finger, despite the arthritis that also beleaguered him. He straightened up and mopped his brow with the back of his hand to remove the sweat that had accumulated, unsure if it was the shock that had brought it on, or the strain at his age that it had taken to retrieve it. Eventually, Harold got to his feet and waited for his world to stop spiralling down in front of him. He felt nothing but doom. The eyes of his parents and sisters framed within the sepia photo on his desk, taken before everything had overturned their lives, stared back at him, almost willing him to remember. As if he were capable of ever forgetting. His fingers shook as he ran them along the gold trim edges of the bond and stroked the red seal and ribbon at the bottom. Further review of the envelope, including peering inside it in case there was a letter, revealed nothing further to assist him, not even after he had turned it upside down and shaken it to double check. It bore an airmail sticker and US postage stamp, and his name and address were typed on it, however, there were no clues as to who had sent it or why it had been sent to him. It certainly appeared genuine but the question that came to mind was whether someone was playing a joke on him. The bond was drawn on an American bank, the name of which meant nothing. Not only did he feel completely bewildered, but absolutely frightened. He really needed to sit again before he passed out. He had no idea what to do so he called the person he always turned to when he had a problem. The phone was answered immediately. “You got the same envelope.” It wasn’t a question, simply a statement, spoken in the same quiet tone that Harold was accustomed to hearing. Thank you so much for joining us today, Karen. Best of luck with the release! — A.B. The blog needs to be fed, and so it is my great pleasure to welcome multi-talented author David Mannes. Spiritual and curious, David plumbs a fascination with the paranormal while exploring relationships at their most personal. With TWO releases out this year, his energy and creativity is an inspiration to us all. Welcome to the blog, David. As a Cantor-Educator you are a spiritual man who is also interested in the paranormal and the unexplained. How do you reconcile dogma with secular interests? Judaism’s belief about what happens after you die is a gray spectrum with an evolution of beliefs over the millennium looking at biblical and Talmudic views. We do believe that the soul is eternal. But I certainly don’t believe in demons, possessed souls, or Satan- at least in terms of the Christian view, which has its origins with Egyptian, Greek, and Roman theology. In Judaism Satan-pronounced Sah-tahn in Hebrew- or the Accuser, is sort of like a prosecuting attorney. (Satan is mentioned briefly by a couple of the prophets and predominantly in the book of Job (an allegory piece of literature about faith). However, I did live briefly in a haunted house for awhile in my teens. (See May, 1976 issue of Fate Magazine-‘The Spite House’) and I have friends who are psychic. I tend to keep an open mind as to what happens to our spirit after death and in terms of Jewish belief. Re: the unexplained or extraterrestrial: In Jewish tradition God created and destroyed many worlds before creating this one, and then God continues to create. God is a creative force. It’s what God does. Also, it’s pretty egotistical of us to think we’re the only intelligent life form in the universe, and really, looking at our world and the history of humankind, there’s got to be something out there smarter than us. The universe is billions or trillions of years old.Humankind is still in it’s relative infancy. We may have become more sophisticated, but we haven’t matured much. We don’t know everything. The world and the universe will continue to surprise us. Is that how you became involved in the arts? Or did the arts come first? I was always interested in fine art (especially cartooning) and writing. I majored in Art initially in High school and my first year of college, then switched it to a minor and majored in English. I’ve been writing since upper elementary school and got a lot of encouragement from teachers and in creative writing classes. I’ve always had an overactive imagination. I knew I wanted to be a writer since fifth grade. Your character Jeff Reimer in THE CANTOR’S SON reminisces about the year of his Bar Mitzvah, which took place in the 1960s. I’ve been listening to a lot of Beatles lately and find it very reassuring. What is it about the 60’s that keeps us coming back? We are the baby boomer generation. We had great music, great causes and its generational influence is still present. While The Cantor’s Son has a Jewish slant, it also speaks to baby boomers and any kid whose father was clergy. I think it was a great era to grow up in, despite all the war and social problems. Jeff “comes home” after forty-six years. What is his take on ‘home’ in the year 2016 CE? The book is about Jeff’s journey not only as a young adult but as an adult. Getting older gives us a different perspective on life and what’s important. There’s a lot of people (adults) that are still figuring it out. Overall change happens. Growth happens. Life is a continual journey and Jeff is entering a new stage but experience has given him a new outlook too, one that I think the character is happy with. You have also authored THE REPTILIAN ENCOUNTER and SCARLET JUSTICE. Do these works support common themes, or are other agendas at work? Well Scarlet Justice started out as a screenplay that I was going to produce with a couple of buddies, but there was a recession on in the early 90’s and we couldn’t find interest or financing so I did a novelization of it. I grew up watching old B westerns and the Clint Eastwood and John Wayne movies. While doing research for the Writing-on-Stone documentary I read a lot about the early years of the Mounted Police and it gave me a lot of story ideas that I’ve incorporated in this series. The second book, Scarlet Vengeance will be out this fall, and I’m working on a third book in the series. The Reptilian Encounter is actually the third part of a trilogy (I published the first two volumes independently on Amazon kindle) but it’s also a spin-off for a continuing series. I’ve been interested in UFOs since I was a kid. I use to read Frank Edward’s column in the newspaper and have been doing reading and research on UFO’s for probably about 50 years. As well, having grown up in the 60’s, The Man from U.N.C.L.E was one of my favorite shows, as was X-Files in the ’90’s. Both influenced the creation of my character Damien Wynter. According to some of my research, after the Roswell crash of 1947 President Truman set up Majestic 12, a group of military, industrial, and private organizations and individuals who investigate and obtain alien technology, and understand extraterrestrials, but at the same time keeping it secret to prevent public panic. My novels are based on actual or alleged incidents but with fictional license and conclusions. The series is sort of a Man from U.N.C.L.E meets the X-Files. The second book, The Tunguska Encounter is coming out this fall. I’m hoping this series takes off and I think it’d be great to see The Reptillian Encounter made into a movie. And you have also worked in film as a producer/director and scriptwriter. How do these experiences compare to writing in solitude, if you, indeed, write in solitude? Definitely there are parts of media production that are creatively collaborative; but both involve storytelling. I think visually no matter what the media. I always have. The difference for me is in the pacing. Working in media is a very intense and frantic pace a lot of the time, given budgets, deadlines, etc. Writing is more relaxed. The only deadline we have (other than from our illustrious publisher during the editing phase) is one that we set. There are times I enjoy being in my ‘Batcave’ with music in the background and letting the story take me in new places. Solitude is essential when writing. I find myself quite comfortable when I’m in ‘the zone’. What is the glue that holds society together currently? Relationships and common goals. To have a society means that there has to be rules that everyone agrees to and abides by. That’s the main purpose of the Ten Commandments (though in Judaism according to the rabbis, there’s 613). It’s the minimal rules to have a safe and just society. I definitely lived life before the digital age and was very thankful when computers came out. Made writing a lot easier..lol. I remember as a kid we’d play army. Our next door neighbors were an older couple. They had a retaining wall on one side of their property. We kids used to go around through another yard and take a running leap off the retaining wall and do a tuck and roll to pretend we were parachuting. The problem was the cement walk that separated the wall and the grass. You had to jump far enough so you didn’t splat on the walk. We didn’t understand liability issues, but the old guy was always chasing us away when he caught us doing that. What words of wisdom would you impart to our first extraterrestrials when they arrive? Don’t judge us by the stupidity you see. We are worthy and capable of better. We are also tenacious and unpredictable. Don’t piss us off. Follow your dreams. You only live once. Appreciate the people in your life because that’s the most important. Rabbi-Cantor Jeff Reimer returns to River City, Iowa after forty-six years, as spiritual leader of Temple Beth Shalom. As Jeff connects with the congregation on a variety of issues, he also connects with his past. It leads him to reminisce about the year of his Bar Mitzvah, and the pivotal events and personal relationships that have led him back to River City again, and that makes Jeff the man he has become. This is a humorous coming-of-age story set in the turbulent 1960’s where Jeff fights off the stigma of being a clergyman’s son, contends with Junior High shop classes, stumbles through B’nai Mitzvah party dances and a semi-reluctant romance with April Blackman. Ride with Northwest Mounted Police Constable Alfred Kingsley and ex-gunfighter turned scout Charlie Buck in two new adventures: Scarlet Vengeance– Hatred is a powerful motivator. When rancher Amos Pike spots ex- runaway slave and black rancher, Elijah Samuels, a man he blames for his family’s downfall, Pike plots a merciless revenge to take away everything Samuel’s holds dear. But he doesn’t count on NWMP Constable Alfred Kingsley and Charlie Buck, who head out on the trail to track the kidnappers and murderers down. In the second novella, Scarlet Gold, Kingsley and Buck, while on their way escorting a prisoner to Fort Benton, aid the U.S. cavalry and Marshal Ben Tucker track down a ruthless band of gold thieves in Montana. The cold war is back on but with a twist…a remnant, a computer chip, exists from a UFO that exploded over Russia in 1908. Now Damien Wynter, special agent for the clandestine Majic-12, is on a race to get it before SETKA, his Russian counterparts. From the canals of Venice to old city of Dubrovnik, to the pyramids of Bosnia, Wynter and Michelle Martin run a gauntlet of anarchy, destruction and death in an all out battle to obtain technology that could be the greatest boon to humankind or launch its destruction in THE TUNGUSKA ENCOUNTER! The Majic-12 series explores the clandestine side of UFOs and the covert organizations that investigate them. This is an espionage-action-adventure sci-fi series that takes place in present day. David M. Mannes is a Cantor-Educator and a member of the American Conference of Cantors. He has served congregations in the United States and Canada. He is also a former educational film producer/director and scriptwriter. He was nominated in 1990 for best non-dramatic script in the Alberta Motion Picture Industry Association (A.M.P.I.A.) awards for “Writing-on-Stone” that he wrote and produced for Alberta Parks. David is the author of The Cantor’s Son, The Reptilian Encounter (Damien Wynter –Majic-12 series), Scarlet Justice (Constable Alfred Kingsley and Charlie Buck series), among others. He has had a long time interest in history, as well as UFOs, paranormal and unexplained phenomena. David is a member of the Writer’s Guild of Alberta and the International Thrillers Writers. David Mannes is married and lives in Edmonton, Alberta, Canada.